Do you suffer these symptoms? You feel like are in a ditch or well, or you’ve fallen into an abyss. You have the opportunity to change all that. To achieve this you only need you to do the CT for your situation. Get your life. Find happiness and also your true and natural lot in life. Stop suffering and being trapped in negative situations. The CT is a Personalized Treatment Course, and it involves a very exclusive personal design, that functions as a training tool and a treatment at the same time. The CT consists of a tuning system towards personal energy. I create it through the capture of different vibrations from each individual. These vibrations are unique to each person and correspond to a system of energy. This is why CT needs to be custom designed to every patient. According with the steps above a CT designed achieves the emotional and mental recovery of the individual. Restoring these factors potentiates the ability and personal performance, take off and helping so the person can reach their projects and goals in much less time of what is required. Therefore, it generates a saving of wear from mood levels preventing it from falling into depression or discouragement that limits the performance. The first change that has to occur is a release, which is primarily from the mental level. That’s how a key that opens the emotional channels is obtained, where the energy compresses the personal capacity. You possess a potential. You already bring certain characteristics in relation to life, the ones that in a natural way are always designed for your progress and developments. However, there are more obstacles than moving forward or progress on the daily living, and this is because throughout life we absorb negativity and bad energy that damages the natural free flow. Another major change caused by the CT, is the development and finding personal happiness, a fundamental and necessary tool to maintain the will in achieving success. In addition, the CT reaches a high level of “release of the mind”. When the mind limits us to develop and direct our purpose and ideas toward projects, creating for a continuous burst of fear and neuro-electric impulse’s that limits and paralyzes the mind and also personal development. You can achieve the change of all the customized neuro-electric system in a quick way and without effort though the CT custom design. For more than 20 years I have observed how in different cases the life of a person can be altered in a negative way. This always happens when the negativity is absorbed in one form or another, and sticks in the aural field and is affected negatively. It is also possible that the negative energy is constantly maintained due to lack of attention. If this would be the case, it would be establishing a multiplier factor as time passes. Some people think that if they have been exposed to negativity, over time it tends to eliminate by itself. That’s when the second error comes into place, because time doesn’t eliminate the negativity; instead allows it to sit into the personal energy system. To achieve eliminating absorbed charges depends very much on the actions that the person applies for an established period of time. All cases do not require the same treatment time. There may be several situations. For example: you cannot make any restoration to the Aural Field, if the person has not reached a leveling off of its essential energy. Another of those situations may be as I previously mentioned, the time needed for such treatment, since this treatment is distributed in the different areas of personal life such as: emotional, mental and physical. According with my knowledge and experience of many years treating so many patients, I have developed a unique system that covers an emotional, mental and physical recondition. Therefore, having used this system for some time, we would be reaching a much higher development in the basic level of personal energy, with a solid recuperation in mental aspects. This development and recovery as a whole further potentiates the life of the person in general in an even more positive way. 1. Once designed and made all its development, the individual will use it for 1 hour a day, previously established, the best convenient time in accordance with the data obtained throughout the personal graphic and diagram. Possible times to use the treatment CT is fixed when it is created, so the person can choose the most convenient time according to your day. The variety of times to perform CT is a result of the factors appearing in the different graphics when we are preparing the personal audio, and they are the most convenient times for that individual in particular. The personal information is, like the time of birth and date, as well the season of the year in which we are at the time the CT is created for the individual, all these factors that intervene in the correct elaboration and utilization of the CT.
2. The individuals who have used their personalized CT and have added the program Wave at Distance that I create with your personal energy, reached much faster and greater volumes of the desired changes and welfare in all personal aspects. This can be made requesting a personalized CT with the assistance that I provide. First, a Personal Diagram is created to extract the data that makes up the CT, and then follows the application for 1 hour a week or daily depending on the particular case, which consists of the session where the person will be performing their CT while receiving the emission of Distance Wave treatment. Special care must be taken in laying down the correct times when trying to CT in other countries, since the emission of waves must be synchronized at the time. This whole process takes a very precise method in which the person is doing his CT at their place of residence, while I am directing the appropriate wave’s frequency. Why a Personal CT is not recommended to be used by another individual? The characteristics found in the personalized CT are unique to each person. This means that you cannot use the same treatment across the board because then we would not be addressing the key issues or difficulties personally. Each individual has a different tuning and so the CT that they will receive is different. Therefore, if we ask to hear the same audio adequate for one patient to different individuals, one could fall into a mix of distortion of the neuro-electric sources. This can lead to an unwell filling or a state of confusion. The CT system may change your life. Easy and fast. It requires no effort, only to realize the treatment record.
" Welcome to a New Era, take a different perspective of seeing and improving their lives. Thank you for receiving me and letting me into their homes. 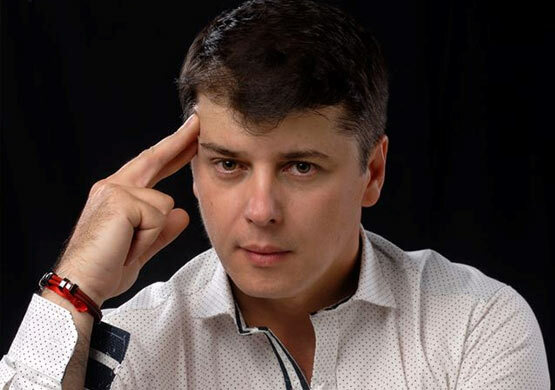 I will guide you to achieve a mental opening towards the spiritual, a better emotional life turning to the activation of processes of love for life, and an unprecedented development of the personal intelligence. " Know the way to a higher quality of life, know how to identify and clean negative energies, generate positive energies, enhance your aura, have a positive attitude and achieve prosperity through appropriate spiritual help.  Luis Orsi in his trajectory as a Therapist has worked directly with thousands of people, and also with those who through distance have carried out the Technique of Waves to Distance, which is applied with very good results.. The recommendation is to create a Diagram, before a CT is created. In this way I manage various graphs through waves at a distance, capturing the most appropriate values to a particular individual that allows me to find the frequency of the customized auric field. Through this frequency I reach the tuning of the melody that in second place it will be taken to the composition of a musical and Audio intro, in which offers an introduction, and having all tools in place, so a CT can be developed with the maximum results. Besides that an Explanatory Audio is integrate for the particular case being treated. After all the previous steps are done, The CT takes a secondary process, which consists in sending all material to a recording studio for completion. In this way the CT Therapy Course that the individual receive is under the supervision of professionals along the entire process and required for a custom wave treatment. The technicians have my utmost confidence, because if the audio was altered incorrectly we couldn’t get t get the desired results. Find happiness and also your true and natural lot in life. Stop suffering and being trapped in negative situations. The duration of CT treatment is pre-set time and should be respected. The patient must be aware that when the periods are not taken into account and the time delimited by the CT is not observed, the treatment is lost and must start again from scratch. When a prescription of the CT is created, the duration of the course is based on the achievable potential of each one, according to its tonal vibration when recording vocals. If this time passes without treatment takes place, the aural values are not maintained at their level, and they decrease, causing the next CT to fail to harmonize with the previous one, this is the called phase shift treatment. CT treatment has different levels of implementation, ranging in each case according to the tonal vibration. From 6 months, in mild cases to 8 months in cases more complicated or more difficult, and longer than 8 months, when the case is complicated and also difficult to restructure patient energy. Steps to order the Custom CT.
After completing the above mentioned steps it is necessary to handle the technical part of the audio and the incorporation of the therapy prescribed by Luis Orsi according to each particular case. 2 photographs, recent, with good resolution and sharpness. • Mp3 voice recording with the instructions will be given the time to communicate. Do you ask these questions to yourself every day? For how long shall I be passing through this these negative situations? Why life will not allow me to progress? You have the opportunity to change all that.